Portion Pack chips. Always fresh, always delicious when you use El Nacho Grande Chips. 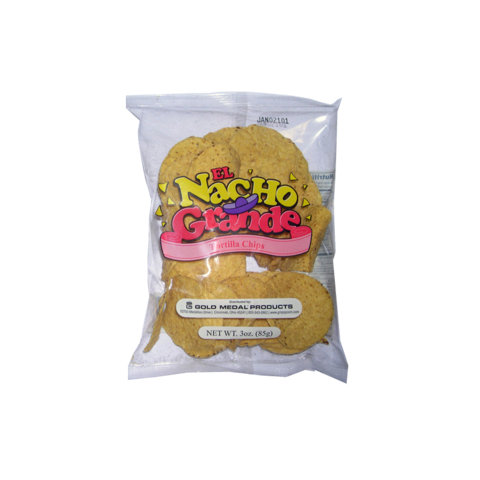 The order of Nacho Chips comes in individual packages of 3oz. each. $1 per package, you can add as many as you need.